MARGMA succeeded in bridging the gap among industry players, fortifying a greater exchange of ideas when it organised the inaugural International Rubber Glove Conference and Exhibition (IRGCE) in 2002. Since then, the premier showcase has been successfully conducted in 2004, 2006, 2008, 2010, 2012, 2014 and 2016 on a biennial basis. The IRGCE being MARGMA’s sole conference and exhibition event will continue to grow side by side with the healthily growing industry. IRGCE is now the world’s largest exhibition of rubber gloves. It is now a must-visit event for players in the rubber glove industry. 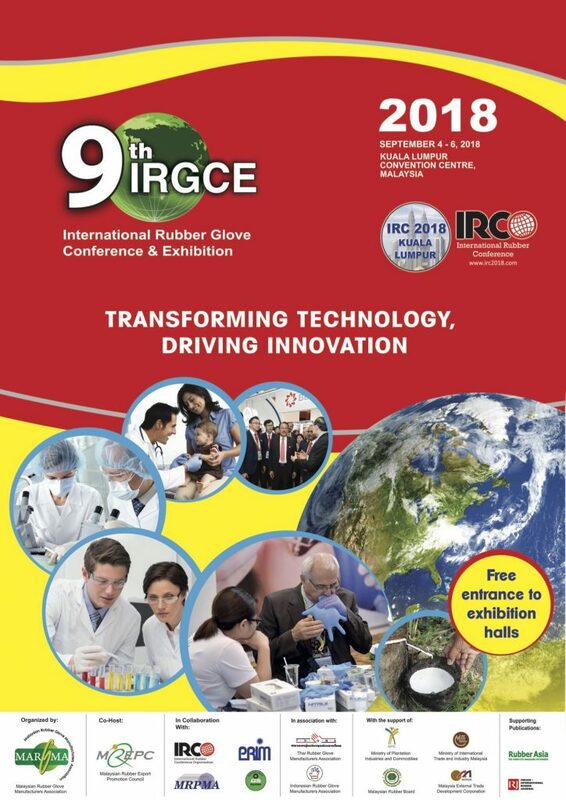 The 9th IRGCE 2018 was successfully organized by MARGMA and co-hosted by the Malaysian Export Promotion Council (MREPC), in association with the Thai Rubber Glove Manufacturers Association (TRGMA) and the Indonesian Rubber Glove Manufacturers Association (IRGMA). The event was supported by the Ministry of Plantation Industries and Commodities (MPIC), Ministry of International Trade and Industry (MITI), Malaysian Rubber Board (MRB), Malaysia External Trade Development Corporation (MATRADE) and Malaysia Digital Economy Corporation (MDEC). Rubber Asia, Indian International Rubber Journal and The Rubber International were the supporting publications for 9th IRGCE 2018. For further information on this event, download the 9th IRGCE 2018 Brochure. The Programme Schedule can be viewed here: 9th IRGCE 2018 Programme Schedule. The 9th IRGCE Conference 2018 carried the theme of “Transforming Technology, Driving Innovation”. 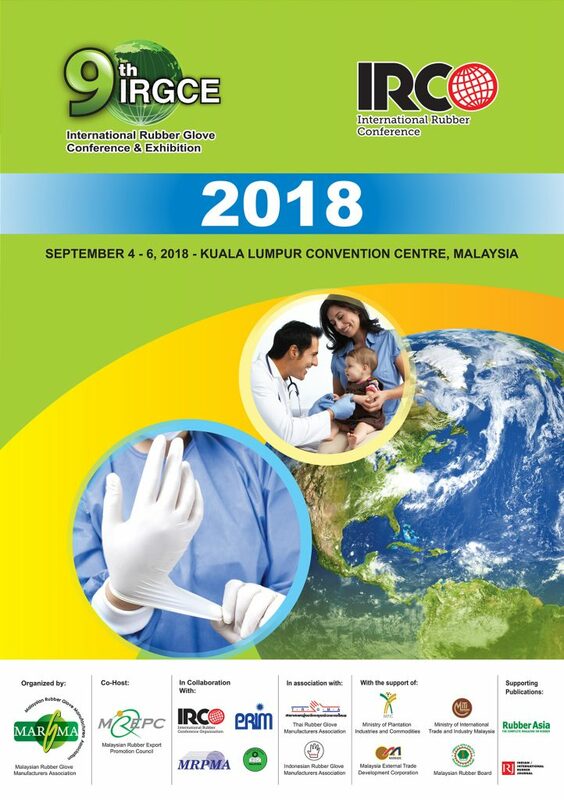 With 22 papers presented by various internationally renowned speakers, the conference provided a platform to review, analyse and present information on the latest trends and developments within the rubber glove and medical devices industries. The Conference Papers for the 9th IRGCE 2018 can be downloaded here. With 212 companies from more than 13 countries that participated in the exhibition, the 9th IRGCE 2018 was able to attract over 7000 quality trade visitors. 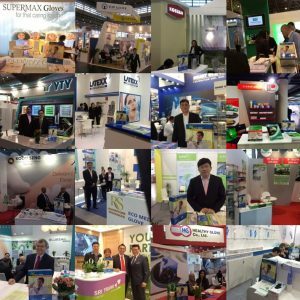 The exhibitors showcased their latest product innovations and technologies making for an attractive and interesting show. Click to download list in PDF or Excel format.